The first question friends and family had when I told them that we were taking the kids to the Lehigh Valley Zoo was, "Where?" Now, I&apos;m making sure they all know about one of Lehigh Valley&apos;s truly hidden treasures. A clean atmosphere, friendly staff, and plenty of exhibits to enthrall both of our kids, ages 3 and 8, made the zoo a place that I&apos;m sure we&apos;ll visit again. The 29-acre zoo in Schnecksville, Pa., is home to a wide variety of animals, including the elk and bison that make their home on the remaining 1,100 acres of the Trexler Nature Preserve where the zoo itself is situated. The small setting allowed our family to get up close and personal with a quartet of red kangaroos, rainbow lorikeets including one lovely mated pair, and an Argentinian tegu that was out for a walk with one of the tremendous zoo employees. 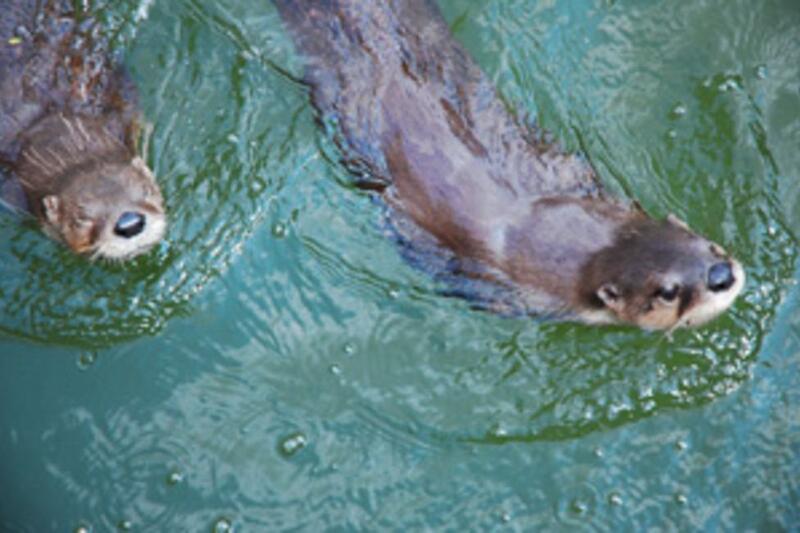 Volunteers at the zoo were just as excited to race around the North American river otter home as our kids were, watching them dive into the water and scurry across dry land. Helpful staff members also took the time to answer the questions our family had about the habits of the African penguins after their 3 p.m. feeding session. Like other families that day, we found ourselves comparing movie characters to their real-life counterparts, like King Julien XIII (the eccentric lemur from the "Madagascar" series) or Rocco (the wallaby from the Nineties&apos; Nickelodeon cartoon "Rocko&apos;s Modern Life"). As much fun as it was to relate the kids&apos; usual exposure to animals, it was even more enjoyable to share a day trip to Lehigh Valley that (despite the lack of elephants) we&apos;ll likely never forget. Guest blogger Christopher J. Hughes is a multimedia journalist living in Scranton, Pa. He is the online editor for The Times Leader in Wilkes-Barre. Photos by Lyndsey and Christopher J. Hughes.